make connections with people in the community who can enhance our understanding of the Story, facilitate its dissemination to a wider audience, and help create a ripple of healing in the South West and further afield. We’ve been really pleased with how things have gone to date, and with the overwhelming positive response we’ve had to the website. There have been some wonderful comments, including the one below from Carlie Atkinson. Carlie, a Jiman and Bundjalung woman, is Program Director of We Al-li Healing Programs. Her work and that of her mother, Judy Atkinson, has greatly inspired me during the past five years. What an incredible resource you have collectively created David Clark and co. I finally found some time to sit down and go through the website. I was moved to tears going through the material. Simply awesome! A beautifully crafted site full or incredible material – story telling saves lives. I love this quote, “We believe in a strengths-based, solution-focused approach to healing that celebrates success and cultivates positivity, acceptance and cultural pride. Positive Stories facilitate healing” – you have achieved this in bundles. I highly recommend that everyone out there explore the Carrolup Story. A number of people have commented to us how our approach can facilitate healing. I was deeply moved by the words of Wazza Jones, whose father Warrick Jones (RIP) was at Carrolup while Noel White was teacher at the school. … it is so important for our family, our community and for those who need to hear our stories to understand why we are here where we are as a people now, and how we can walk together to bring about much needed healing in our communities, hearts & minds. We would like to take this opportunity to thank Carlie and Wazza for allowing their kind comments to be shared. We thank those other people who have sent through similar messages of support and understanding of what can be achieved. We also thank those people who have provided feedback, in one form or other, and those of you who have provided such interesting stories. And we thank you all for visiting this website, and reading and watching our content. We are now going to take a break over the Christmas and New Year period. My beautiful 14-year old daughter Natasha (Tashie), is shortly coming from the UK to stay with us over this time. I want to devote my time to her once she is here. Linda and I will also be celebrating our ten years together—I moved to Perth on Christmas Day 2008. John is having a much-needed break as well. The website will of course be available throughout, but we will not be adding new content or posting to Facebook until 7th January, 2019. John, Ash and I would like to wish you all a very Merry Christmas and a Happy New Year! John and I look forward to meeting a number of you during the coming year. 1. 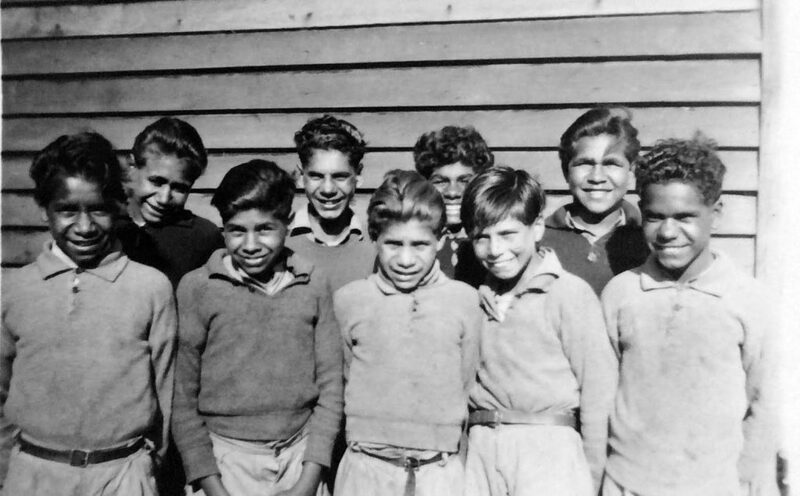 The Classroom Photo (uploaded 15th November) – Noelene White took a photograph of the children of Carrolup School in late 1948 (most likely) or early 1949, which showed the classroom walls covered in the children’s drawings. The Marribank Community, along with John Stanton and his team from the Berndt Museum, talked with Noongar people from the South West and were able to identify all but one of the children. John describes how the Nyungar Landscapes exhibition of the Carrolup children art that he mounted travelled around Australia for the eight years, at that time the longest-travelling national exhibition in the country. 2. Welcome (uploaded 9th November) – David Clark introduces The Carrolup Story team and outlines their background, and summarises what we are trying to achieve in launching this website. He describes the various elements of the website, which was launched officially on Noelene White’s 85th birthday, and points out that it is part of a wider project that will involve various forms of dissemination of the Story. The project has been inspired and encouraged by Noongar people and others, some of whom David thanks personally. 4. A Long Way From Home (uploaded 9th November) – In 2005, John Stanton, Athol Farmer and Ezzard Flowers travelled from Perth to Colgate University in Upper New York State to see the ‘lost’ Florence Rutter Collection of Carrolup art ‘discovered’ by Howard Morphy the previous year. John describes the trip, the emotions of the three men when they first saw the children’s drawings, and their selecting of 20 works to be loaned by the Picker Gallery for an exhibition to be held in Katanning for the Perth International Arts Festival in February 2006. 5. ‘Never Ever Beaten’: Carrolup Football Team (uploaded 16th November) – Carrolup School football team not only remained unbeaten, but won two games in Perth in September 1949. The second game against a combined team from Thomas Street and Perth Modern schools was played before the WA National Football League semi-final game at Subiaco Oval. The crowd collected the equivalent of $3,900 in today’s money for Carrolup School. The blog posting contains a picture of the 1949 team, as well as quotes from local newspapers. 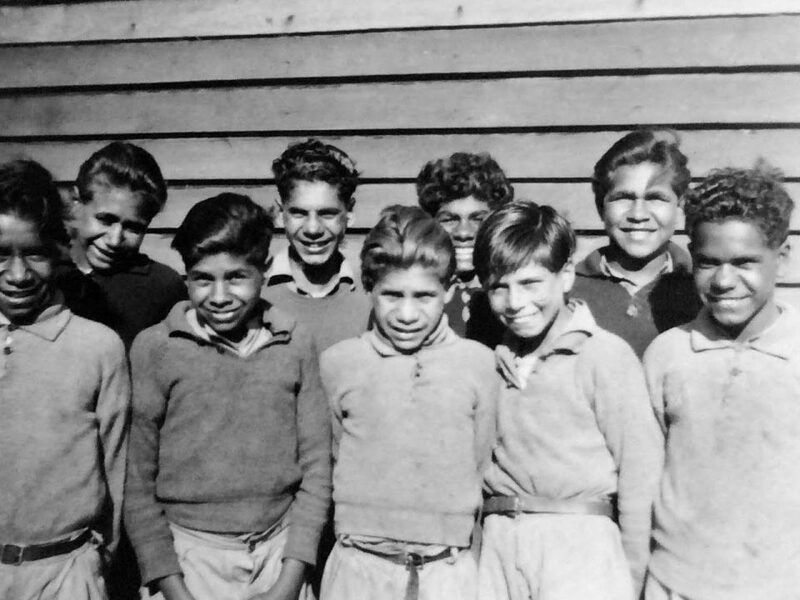 We’ll leave you with an image of Carrolup School – a place of Healing, as described by people who were there when Noel and Lily White were teachers during the second half of the 1940s.